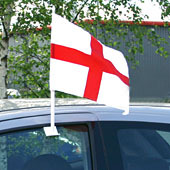 Without any doubt the English cross has been retrieved by people in England. It has been taken back from the xenophobic ultra right. The growing awareness of nationality and nations was helped along by the world cup soccer competition. The event was trouble free from past mayhem and unacceptable chauvinistic behaviour. The current Commonwealth Games in Manchester has added to further recognition that England is a multi cultural and multi-racial nation. This was clearly shown by many medal winning black athletes. Ironically, one man employing half a dozen staff and using a warehouse in East London made a tidy sum of money by importing English flags made in China. It seems although CAEF is fully aware of the national question we were slow off the mark in not recognising the opportunity to market the English flag during the world cup soccer competition! The English flag becoming once again the property of the peoples of England has put an end to nonsensical claims by some who should know better, that anybody and everybody flying this particular flag was somehow a fascist or racist. The pamphlet - The National Question - Socialism and Nationalism by Desmond Greaves is available for £1.50post free from CAEF.